Educational culture continues to languish due to edification’s inability to provide student-based technology-enhanced strategies that encourage and nurture students while embracing a student-centric approach to learning. Providing student-based technology-enhanced educational stratagems shows promise as a means to shift educational practices and augment student performance outcomes. 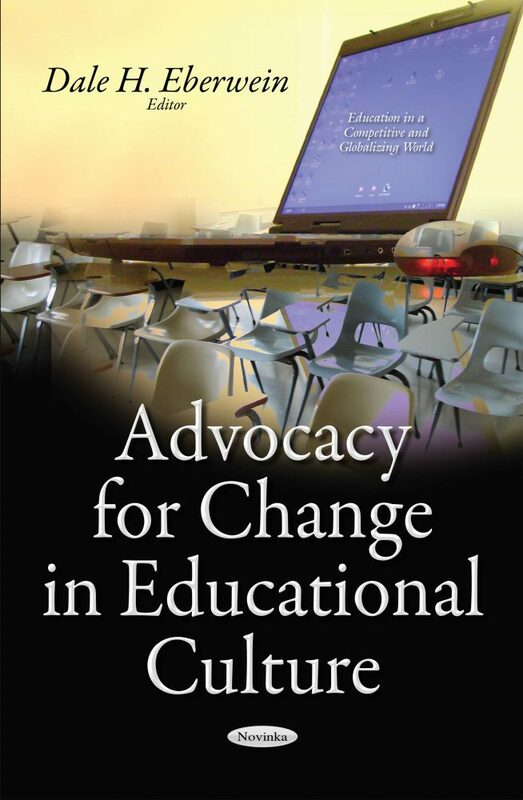 Advocacy for Change in Educational Culture intends to provide a compilation of conceptual frameworks, research in the field of educational technologies, available educational technologies, implications for career and leadership, and developmental architectures for pedagogical practices, whether face-to-face, hybrid, or virtual that is evolving educational culture. Combining technology and the creativity of students, providing remote access, and designing curricular presentations that make use of student-centric architectures, may promote enhanced performance outcomes academically as the student enjoys non-stereotypical educational culture. Offering virtual and technology-enhanced educational culture many times tasks students with their own edifying progress. This shift in responsibility nurtures critical thinking and seems to develop intellectual maturity as the student navigates curriculum via technology-enhanced means. Advocacy for Change in Educational Culture reports and proposes alternatives to traditional educational practices, offering stakeholders options for an educational culture not widely present in modern education. By exploring educational technologies and focusing on what works in disseminating curriculum, Advocacy for Change in Educational Culture introduces educators to skill-set opportunities that evolve current educational culture. This publication is intended for educators (e.g. teachers, leadership, professors, trainers, and educational organizations) interested in alternatives to traditional educational architectures.